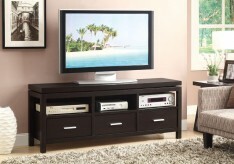 The sophisticated Brittany 42in TV Console will add an understated look to your living room. 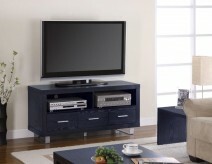 The smooth top will accommodate your television, while two glass doors below offer ideal storage for media components, allowing you the use of remote controls through the glass. The deep cappuccino finish, clean lines with gently curved edges and silver door handles create a chic style to complement any homes decor. 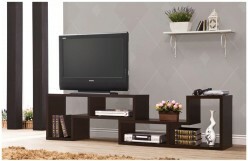 Add this beautiful media console to your living room for an instant style update, with the benefit of great functionality. 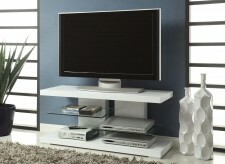 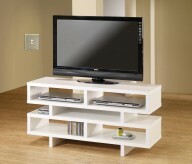 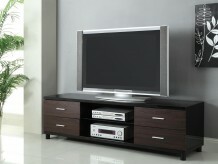 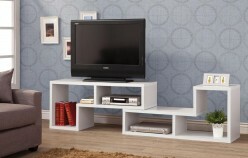 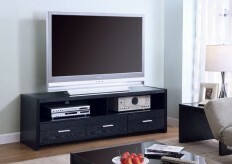 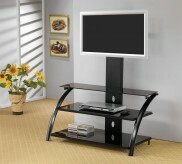 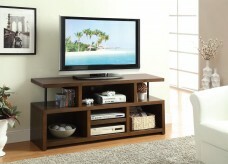 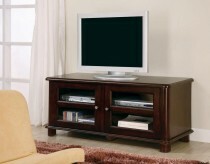 Furniture Nation is proud to offer the Brittany 47in TV Console online. 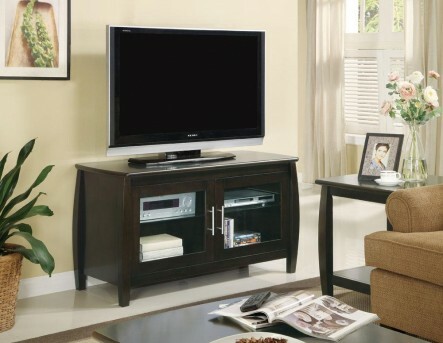 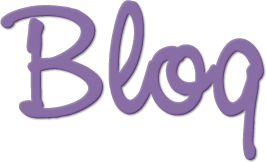 We serve customers across the DFW region including Grand Prairie, Southlake, Grapevine and many more. 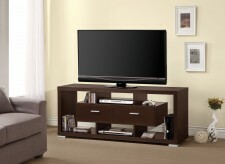 L47" x D20" x H26"